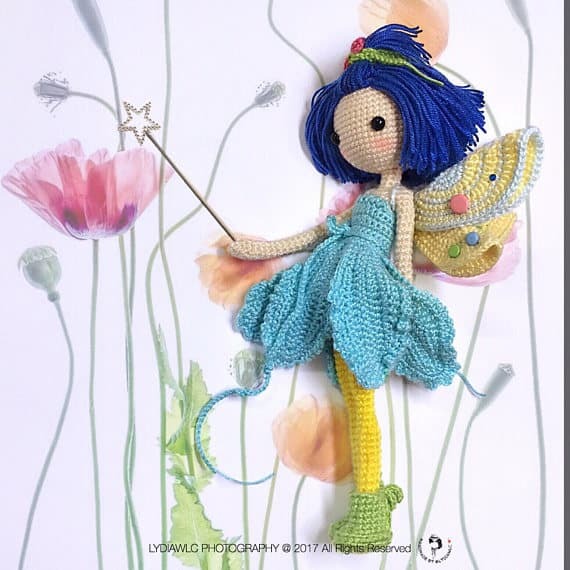 If you have a teenager in your life who collects fairies and all things magical then you need to add this crochet project to your list! 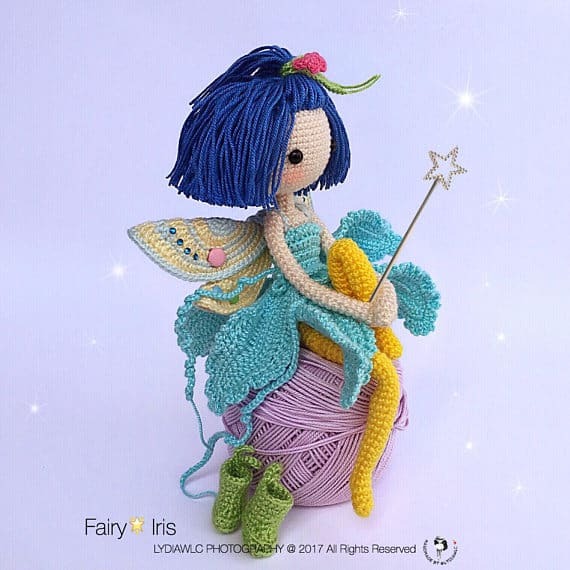 This crochet fairy doll is simply stunning, from her funky hairstyle right down to her pixie boots! Iris the fairy doll is fully poseable thanks to the wire that you put inside while you’re making her. She would just love to sit up on a bookshelf surrounded by books that are filled with magical stories! 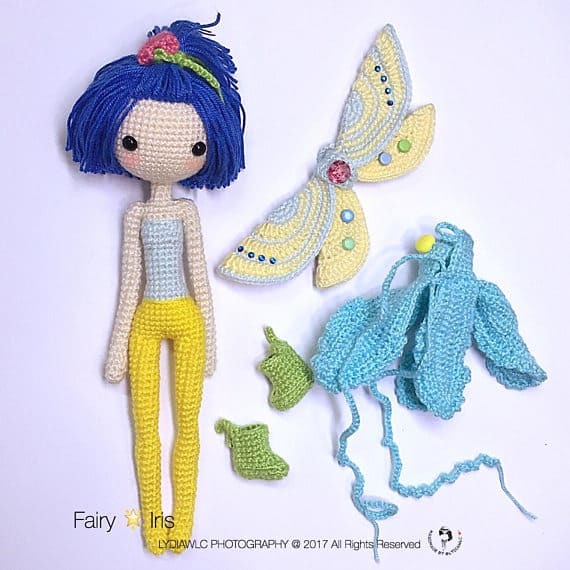 This fairy doll’s dress, boots and wings are removable so she could have a whole wardrobe filled with different colour fairy dresses! 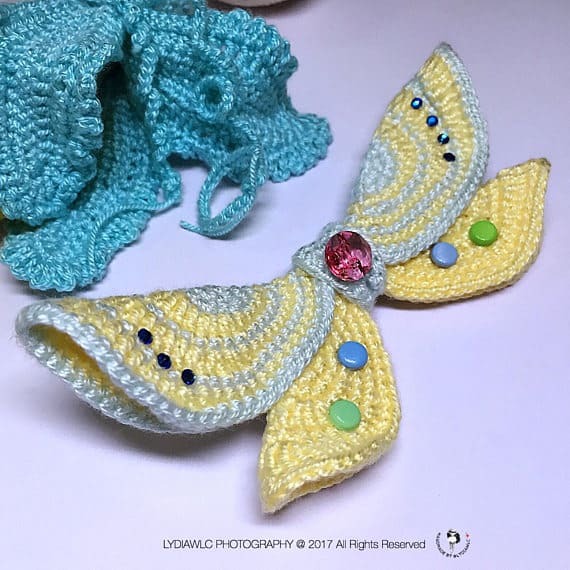 Her little wings are so detailed, and be sure to add some teeny gems to give them a magical sparkle. 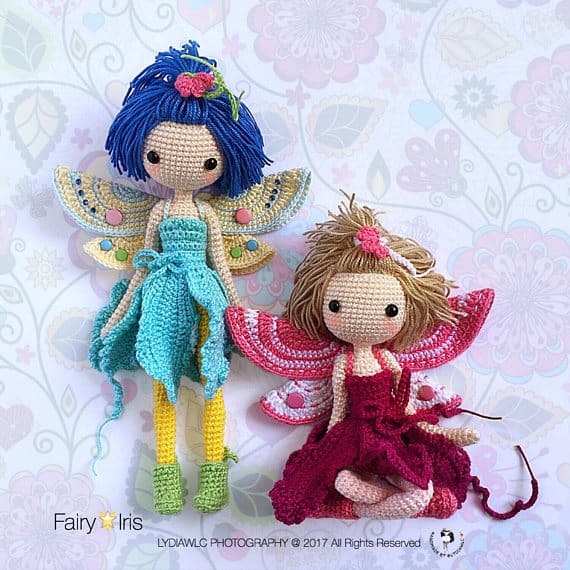 And of course every fairy doll needs a friend (or three) so why not make a whole band of fairies with their own colour styles! Previous PostPrevious These Adorable DIY Mini Felt Dolls Will Become Favourite Playmates!